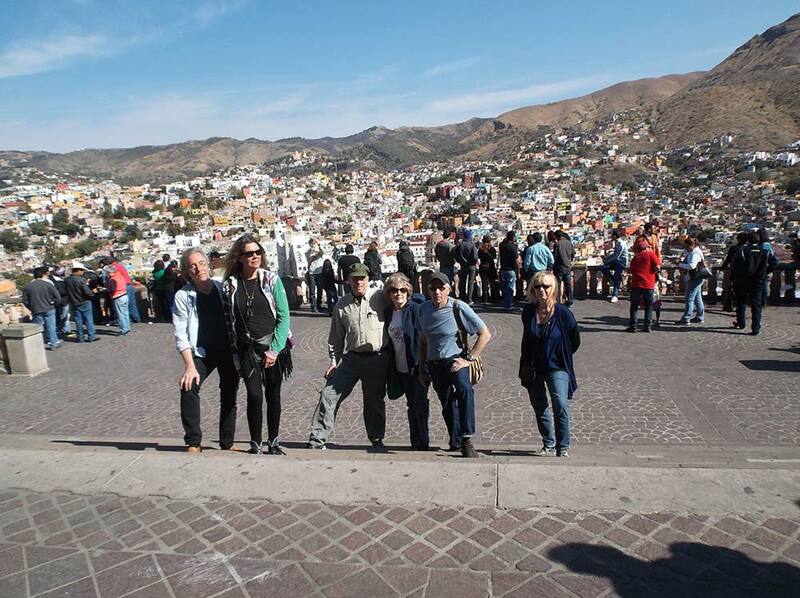 To get a jump start on San Miguel de Allende’s history, architecture, shops and restaurants, with an insider’s view, we suggest you take this tour within the first day or two of your visit to San Miguel de Allende. 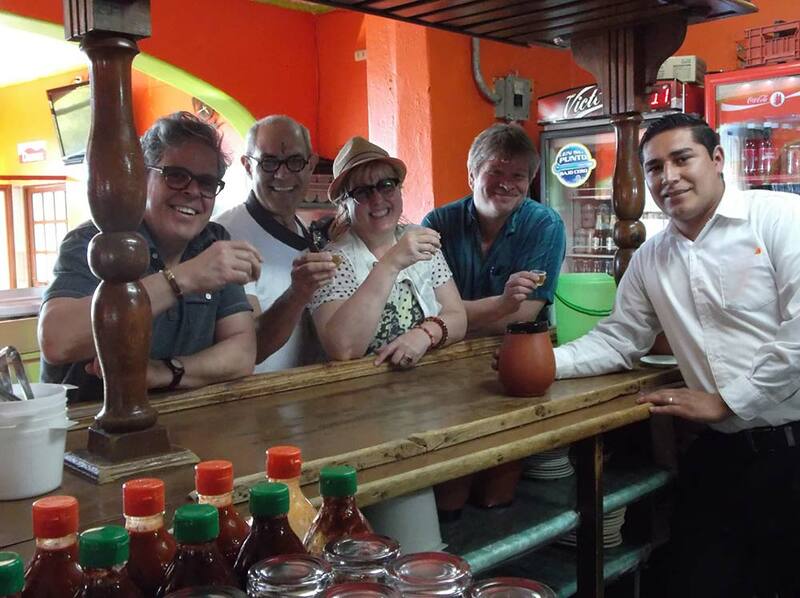 If you’ve not been to San Miguel before this is the perfect way to begin your stay here. The tour is about two and a half hours long, with plenty of places to sit along the way. You’ll learn about our history, get an overview of different architectural styles and have an insiders view of the best shops and restaurants. An excellent map of the downtown area will also be provided you. If you’re coming from a lower altitude, this tour involves some hill climbing, you might want to wait a few days until you’ve acclimated to our 6500′. 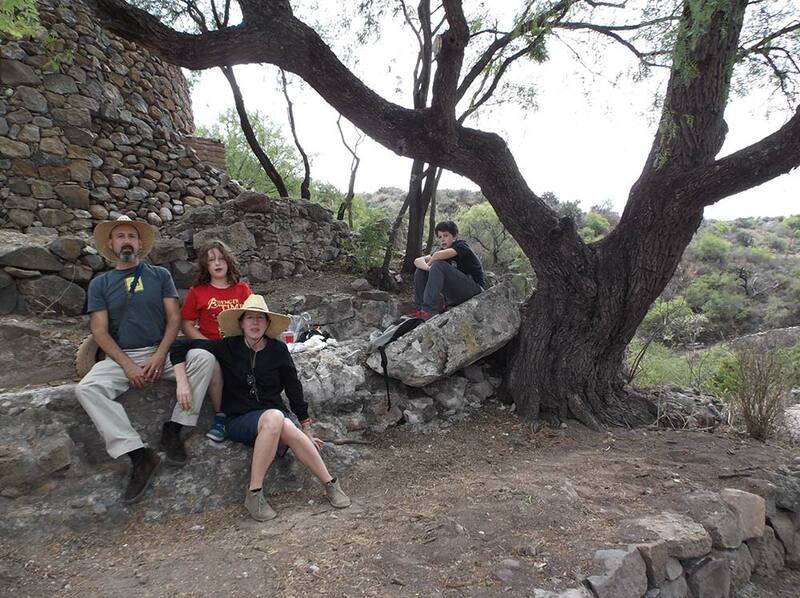 You’ll see all of San Miguel from a panoramic viewpoint and then wend your way down an ancient, narrow cobblestone path to the historic “El Chorro”, a natural spring that marks the location of the founding site of San Miguel. A stroll through Juarez Park will take us back to the jardin stopping at several excellent folk-art galleries along the way. And, maybe, even a cup of coffee or a limonada! Length of Tour: 1½ or 2 hours. 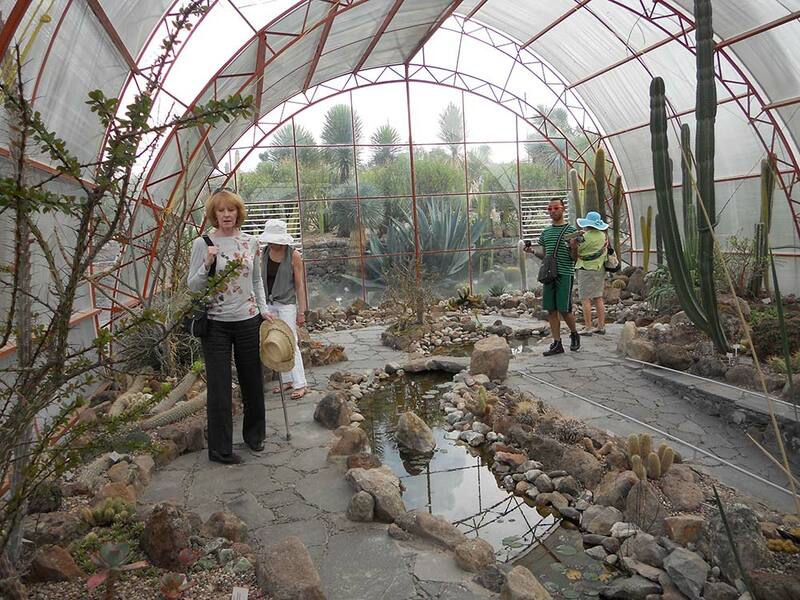 A hike in Charco del Ingenio Botanical Garden will introduce you to the wide variety of cactus and succulent species, as well as some of the local wildlife and natural attractions. With more than 20 different species of succulent plants and close to 200 acres of winding paths the Charco is a grand place for hikers and photographers. In addition to the plants we’ll see the ruins of the first Spanish water wheel from 1580 and also a Peace Zone established by the Dali Lama in 2004. Length of Tour: 2 hours. The 18thc. 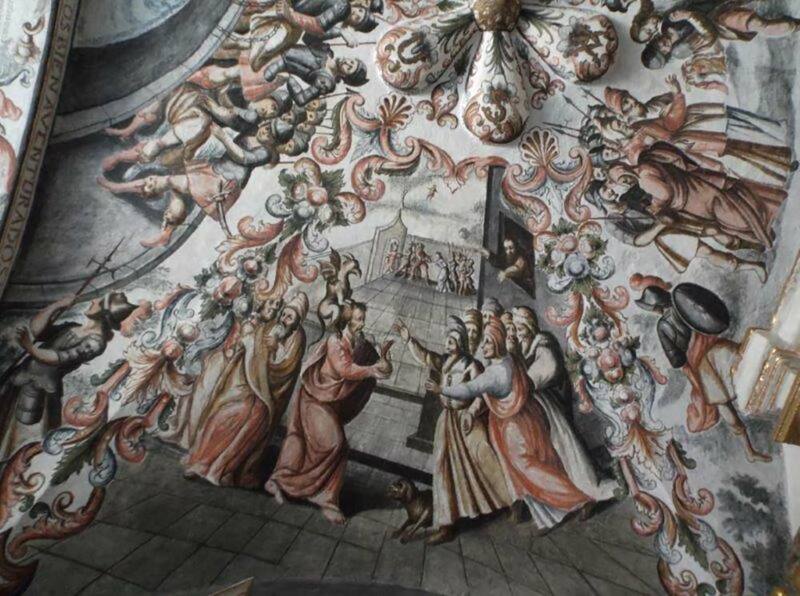 Santuario de Atotonilco has often been referred to as Mexico’s Sistine Chapel and has recently been lovingly restored. Dolores Hidalgo is one of the largest ceramic producing towns in Mexico…also known for it’s tasty and sometimes weirdly flavored ice creams. This charming church was a little known Mexican treasure until 2008 when it became a World Heritage site. The walls of this 18th century chapel are completely covered with frescoes depicting Christ and his life and times. The church is a revered holy place for hundreds of Mexicans who make yearly pilgrimages here to worship El Señor de la Columna, a highly venerated image of Christ. A town famous for it’s ceramics, isn’t named after a woman but the Dolores is after the Virgin de Dolor, or the Dolorosa Virgin, and Hidalgo after Father Hidalgo y Costillo, one of the leaders of the War of Independencia of 1810. This is where that war started and it is a very historical town for Mexicans especially in September when the war is remembered. Like the 4th of July only more so as far as fireworks go! We’ll visit some of the very best tallers, workshops, and watch the artisans as they paint these beautiful pieces. The ceramics are pretty hard to resist, the few that say, “I’m not buying anything”, end up buying something! Usually the tour to Atotonilo is combined with this tour but they can be done separately. Combine a scenically beautiful location with a hike and visit to abandoned silver mines and ruins and dreams of past glory. 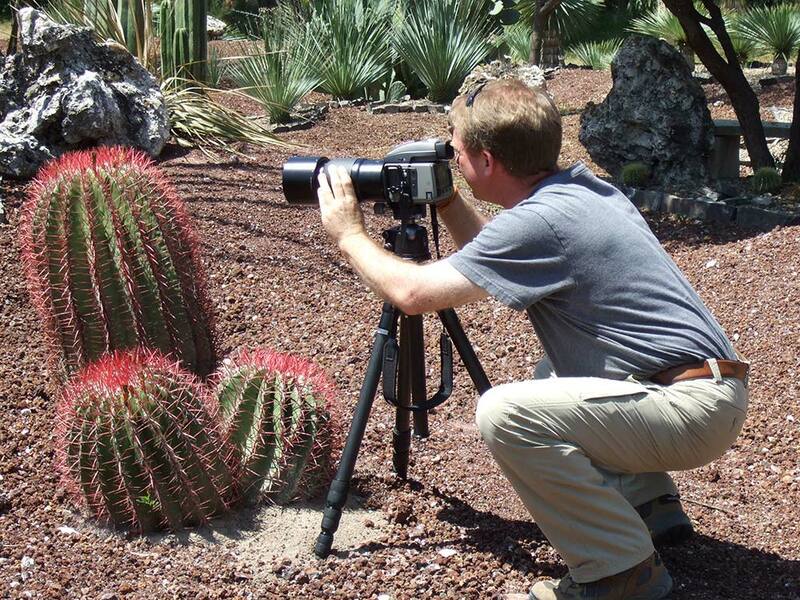 Photographers will especially appreciate Pozos. Quite possibly one of the most mysterious and magical places in Mexico. 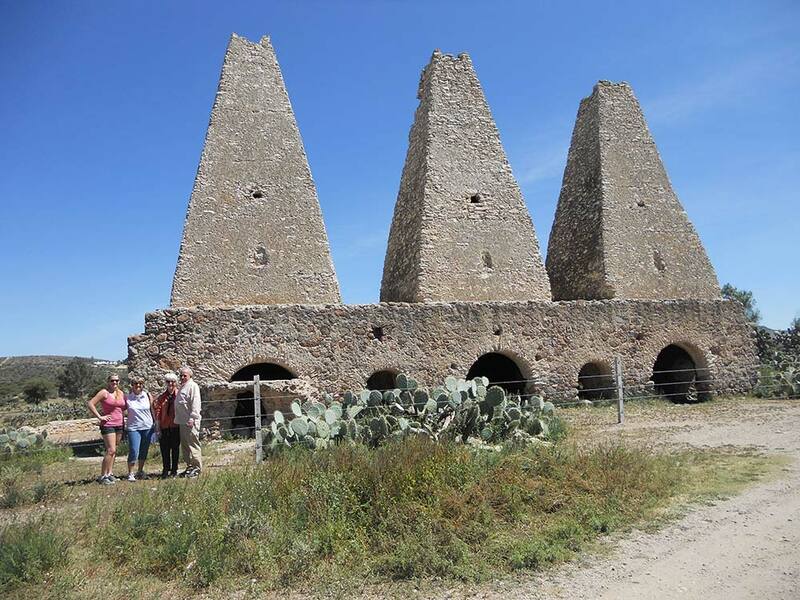 Pozos was once a viable silver mining town in the late 19th century. It’s first smelter, for gold, was built in the 16th century by Jesuit priests. We’ll explore abandoned mines, chapels and marvel at the amazing architecture still standing. 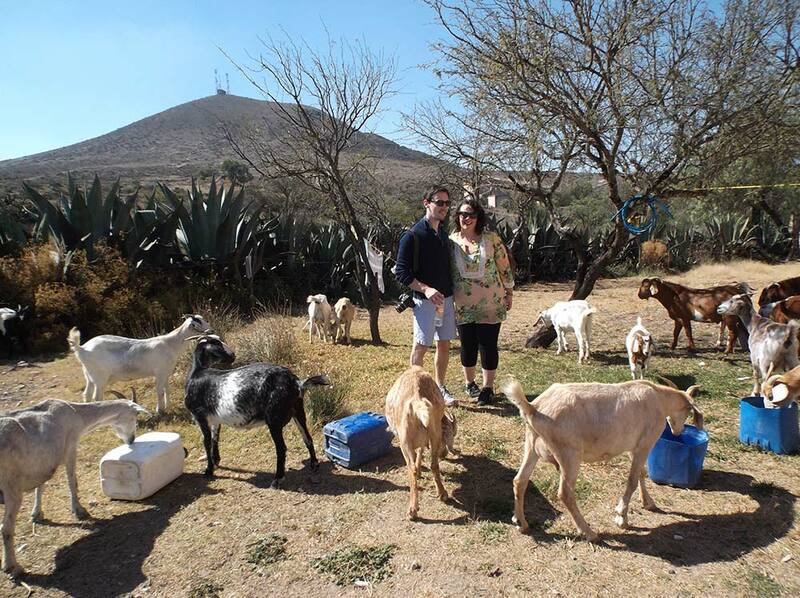 If we’re lucky we can meet up with some undisciplined but charming goats! Comida will be in a lovely garden or a picnic in the countryside. 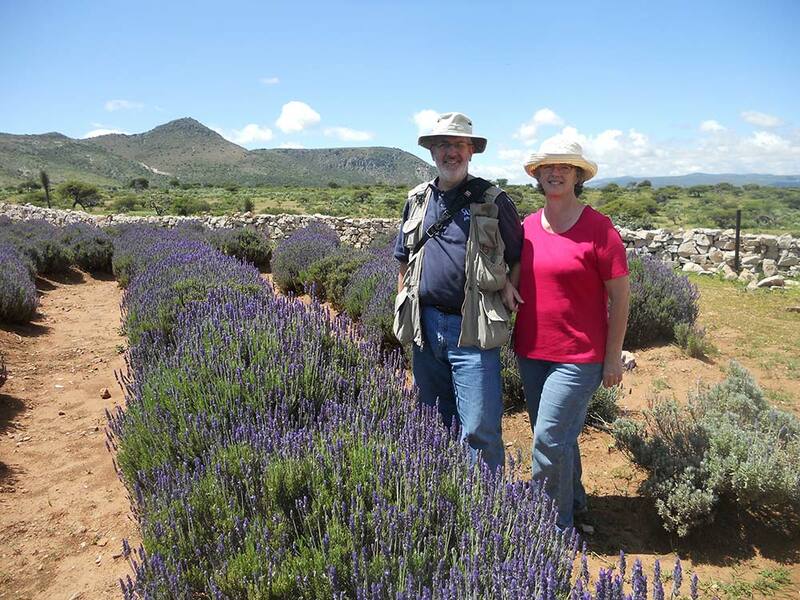 Afterwards we’ll stop at a lavender farm and visit a workshop that makes pre-Columbian musical instruments before heading home. Photographers will have a field day here! Twisting streets and tunnels introduce you to a city of unexpected charm and surprises. Diego Rivera’s birthplace is here along with an early collection of his paintings and drawings. Our State Capitol and home of the University of Guanajuato but more like the hill country in Northern Italy. Winding streets, surprising vistas at every turn and beautiful 18th and 19th century buildings abound in this old Colonial silver mining city. We’ll see the elaborate, Moorish in style, Teatro Juarez, and if we’re lucky catch a rehearsal of the Guanajuato symphony. 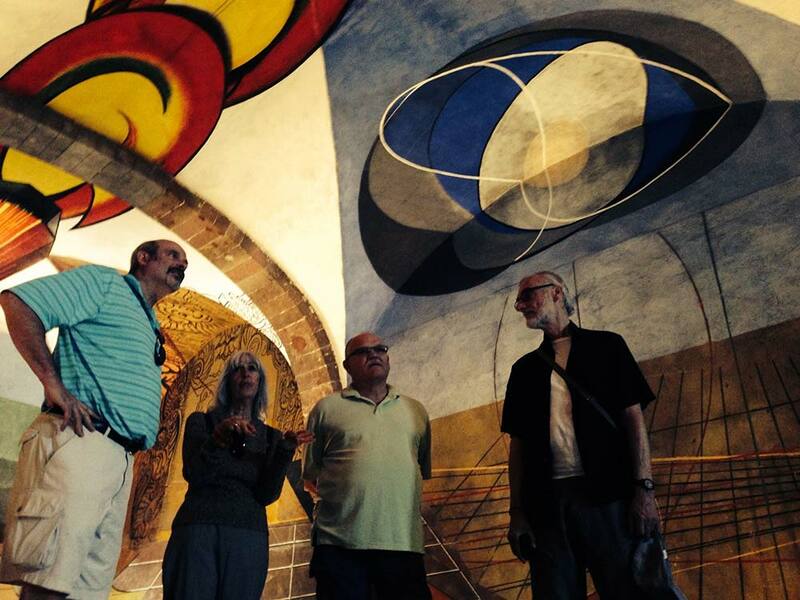 A leisurely stroll will bring us to the childhood home of Diego Rivera and a collection of his early work. There are wonderful restaurants to choose from for comida plus a visit to an “in house” chocolate shop and a French bakery! 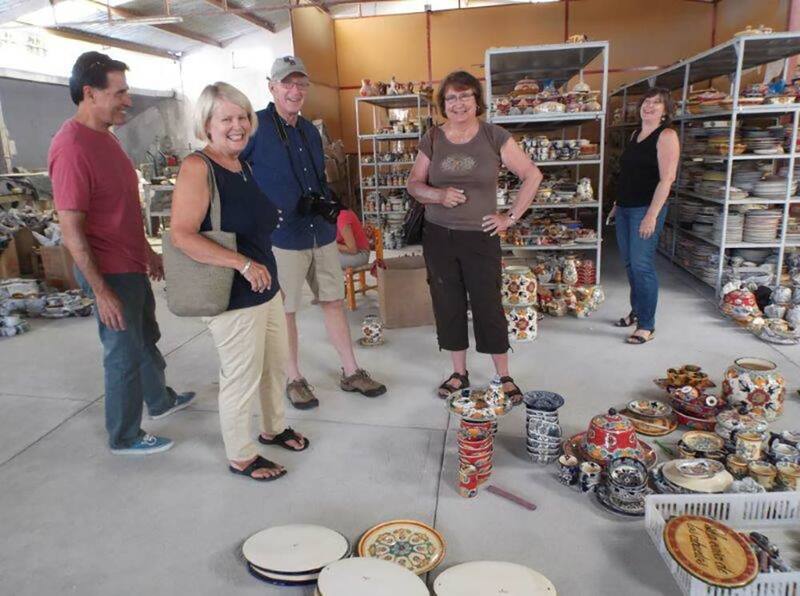 For those with an interest in ceramics this tour can be combined with a drive through the beautiful Santa Rosa mountains, stopping at a fine ceramic workshop at 8200′, and then on to Dolores Hidaglo to view several other workshops and perhaps sample some ice cream with very unusual flavors. This is a very historical route and one that Father Hidalgo and the insurgents took during the War of Independencia of 1810. Think Boston, Lexington and Concord! Length of Tour: 8 – 10 hours. The legendary battle between the Spanish and their Otomí Indian allies against the fierce Chichimeca Indians is now the site of an elegant colonial city. It’s endowed with several fine art museums and a small but choice anthropological museum that can be easily seen in one day. One of the most elegant Colonial cities in Mexico featuring buildings incorporating droll and whimsical architectural elements. The Templo and Ex-Convento of Santa Rosa de Viterbo will make you smile when viewing the leering faces on its most unusual buttresses, a bold response to a critical audience from the architect. The interior of this church and of the Templo de Santa Clara will take your breath away with their exquisite gold leaf altars. This is a city to make one’s way from plaza to plaza and then through many of the charming anadors that are closed to traffic. 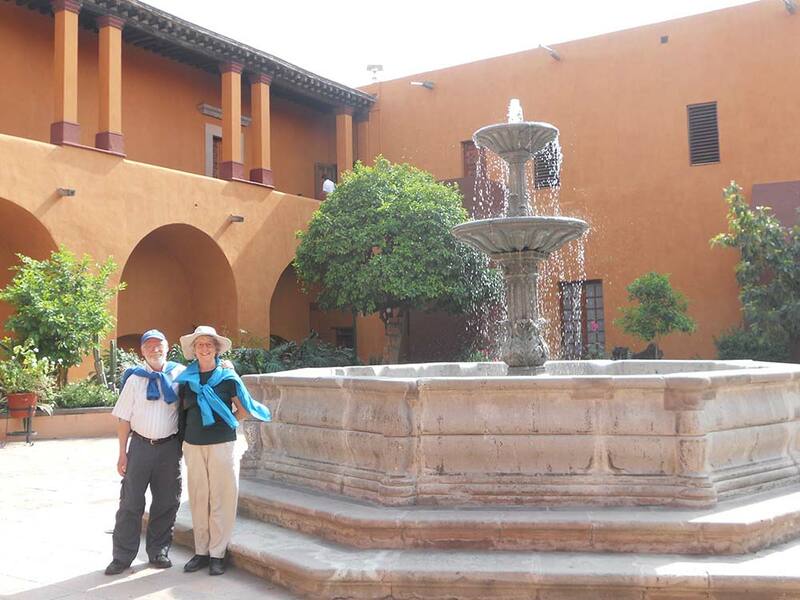 This walk offers interior views of choice Colonial homes that are now government offices, this is also the State Capitol of the State of Querétaro, or shops and restaurants. 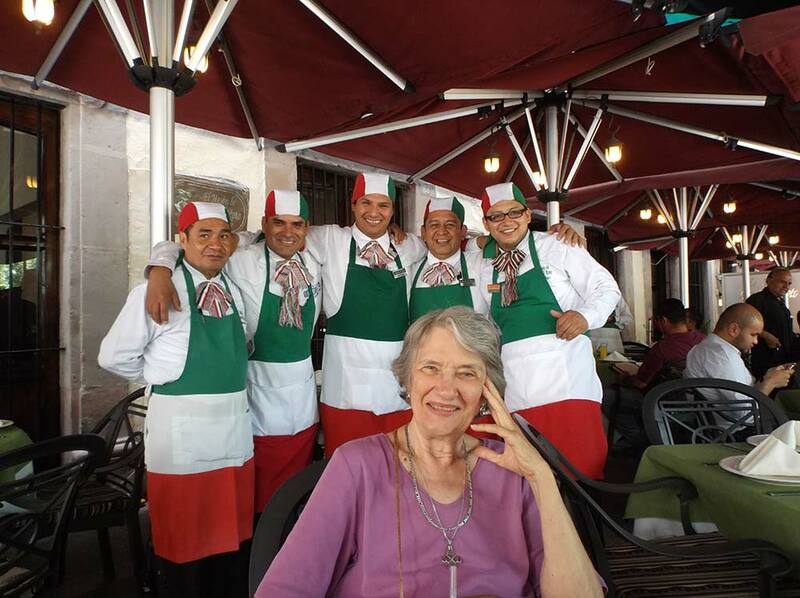 Along the way we can shop for Mexican fire opals that are mined nearby while looking forward to a delectable comida at a favorite restaurant on a beautiful plaza. The city has several excellent museums, one with a collection of pre-Columbian artifacts collected in the State, and several good art museums. We will stop at one or all of them depending on your interests. Length of Tour: 6 – 8 hours. A glossy green state year round with avocado orchards and pine forests. Famous for its craft villages specializing in handicrafts such as ceramics, wood, laquerware, copper, straw, and woven fabrics. Morelia, the State capital, has the aura of an opulent city in Spain. 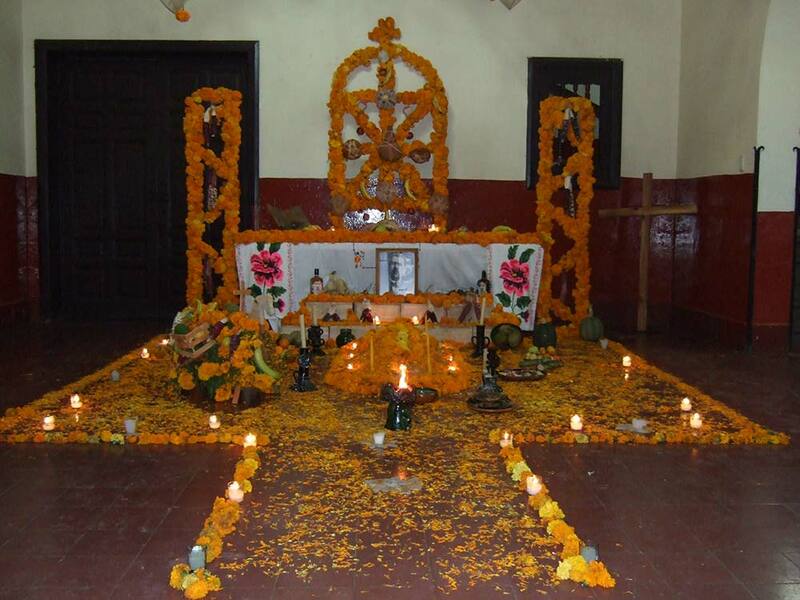 Patzcuáro, nearby, is a special place during the celebration of Day of Dead which includes a huge craft market. One of the most scenically beautiful States in all of Mexico. Morelia, the State Capitol, is yet another Colonial city filled with stately buildings made of chiseled volcanic stone. The 17th/18th century cathedral is home to a 4600 pipe organ and in May a big festival is held there of organ music. A short walk from here is the Casa de las Artesanias which will afford a complete overview of the amazing crafts produced in this State. 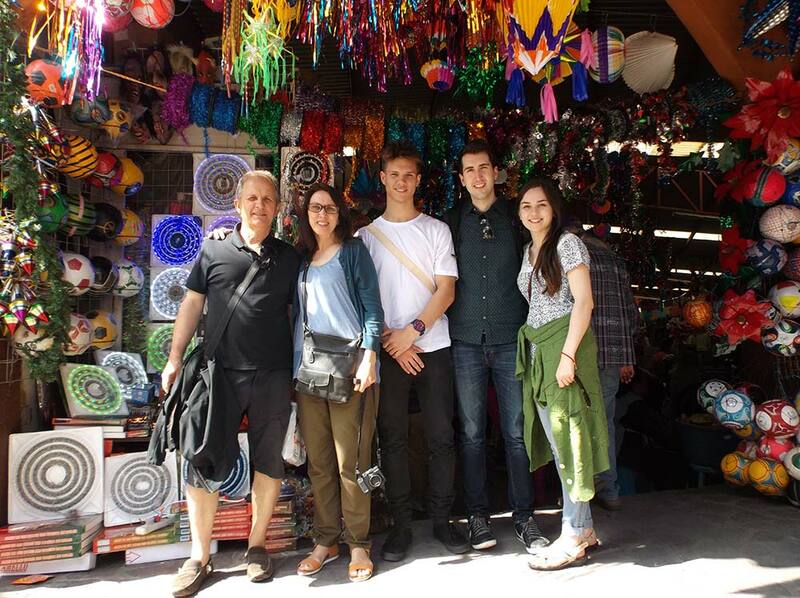 And no trip to Morelia is complete without a quick walk, and sampling, through their famous candy market. Within an hours drive from Morelia, nestled against Lake Pátzcuaro, is the charming and colorful town of Pátzcuaro. 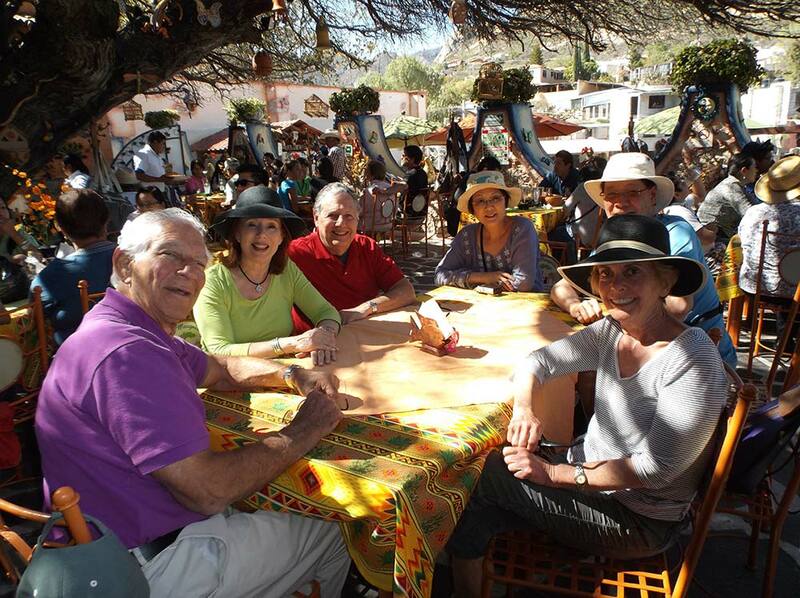 Stately elm trees line the grand main plaza, a perfect place to sit, observe and discover old Mexico. The 16th century Basilica holds a treasured Virgin and the Museum of Popular and Regional Arts has an amazing early collection of lacquer and folk art. The market is something to see with everything from fresh caught fish to tiers of habanero chilies, mounds of avocados and marshmallow sundaes! 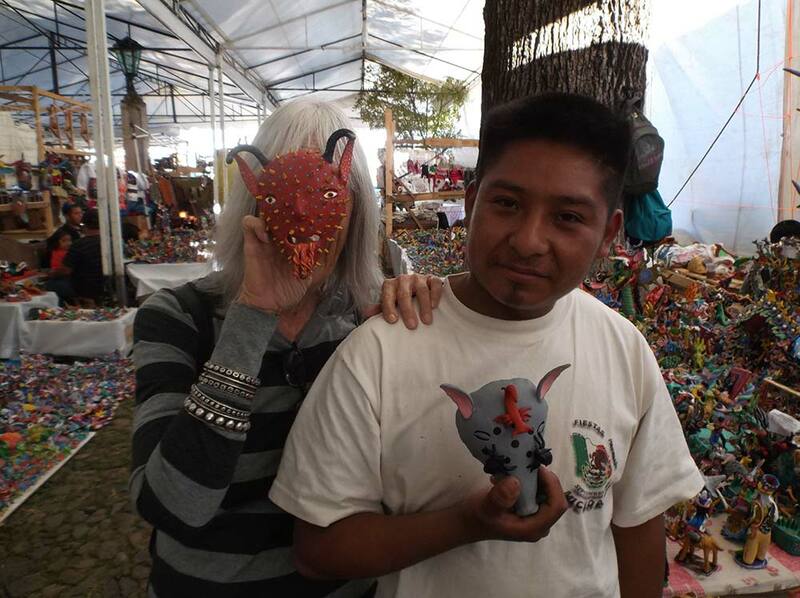 On a trip around Lake Pátzcuaro we would stop at a number of villages to visit the artisans that make different crafts: ceramics, wood, masks, copper, straw and stone carvings. Comida at the “trout farm” is a special treat. This tour is best done in two nights and three days. From the opals that are mined in San Juan del Rio, one of the largest monolithic rocks in the world located in Bernal and finally the vineyards of Tequisquiapan, there is something of interest for everyone on this tour. Tequisquiapan is a town that is well known for it’s straw and rattan market and it’s cheese. 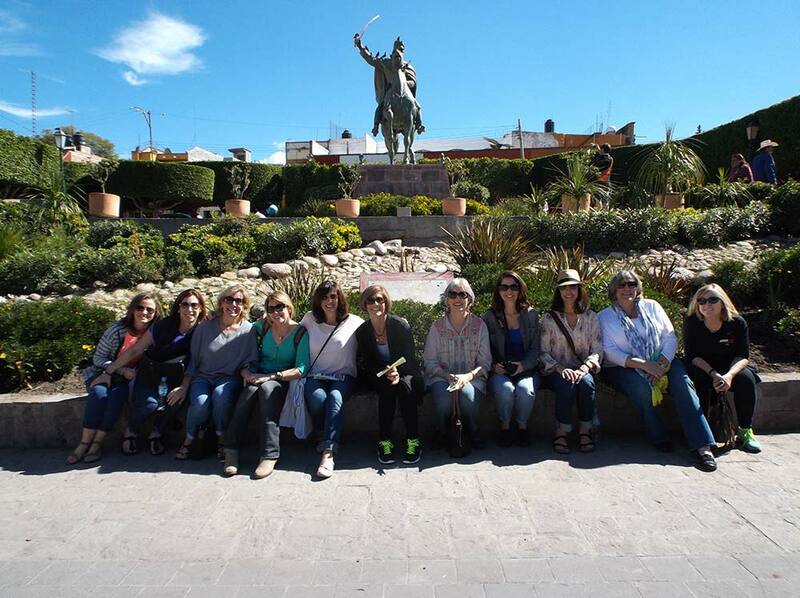 The lovely square in the center of town is surrounded by shops and restaurants featuring the cheese and wine that Tequis is known for and where an annual Cheese and Wine festival is celebrated in May. Bernal is a most charming city that will have you thinking you’ve arrived on a movie set at Disney Studios. 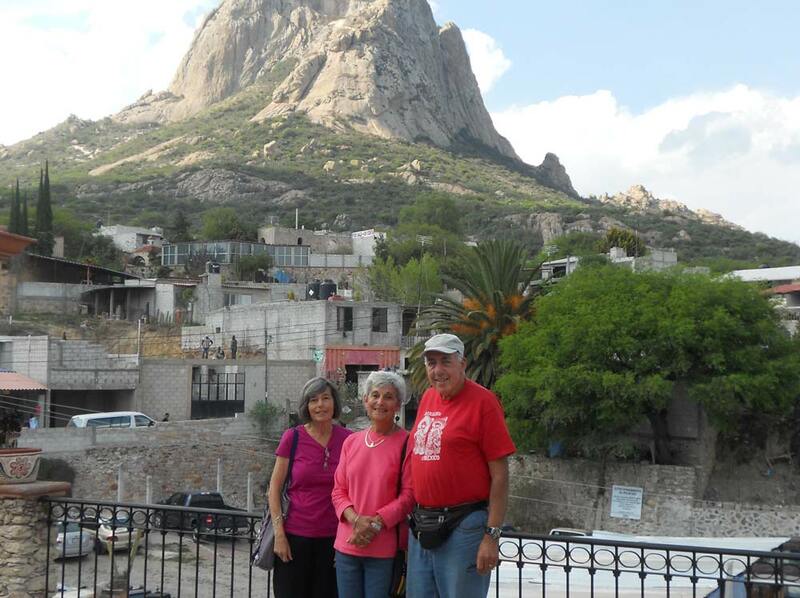 At 1,148 feet the Peña de Bernal is the 10th largest monolithic rock in the world. It was formed during the Jurassic period about 100 million years ago and it is spectacular! 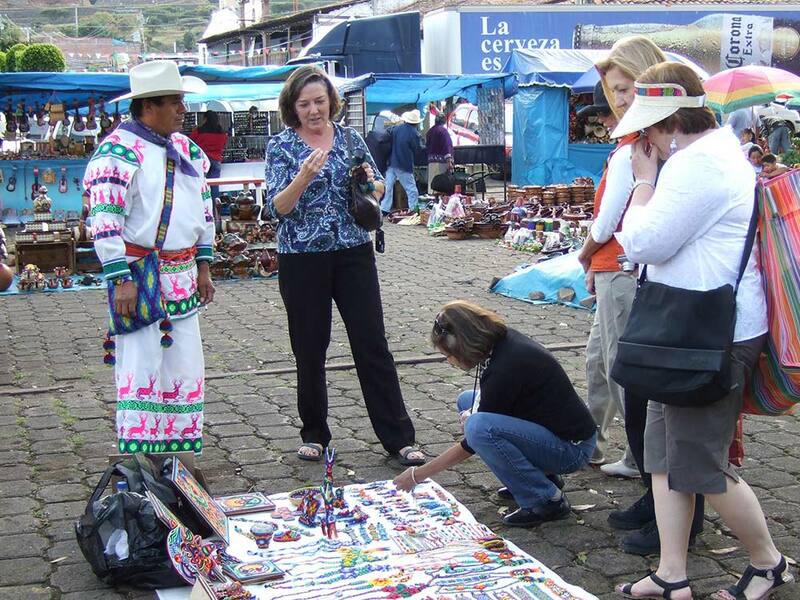 Bernal is the place to shop for hand woven woolen rugs, bedspreads and ponchos. It has lately had a revival of restaurants and shops featuring other crafts from the State of Querétaro. Photographers will find much of interest here. 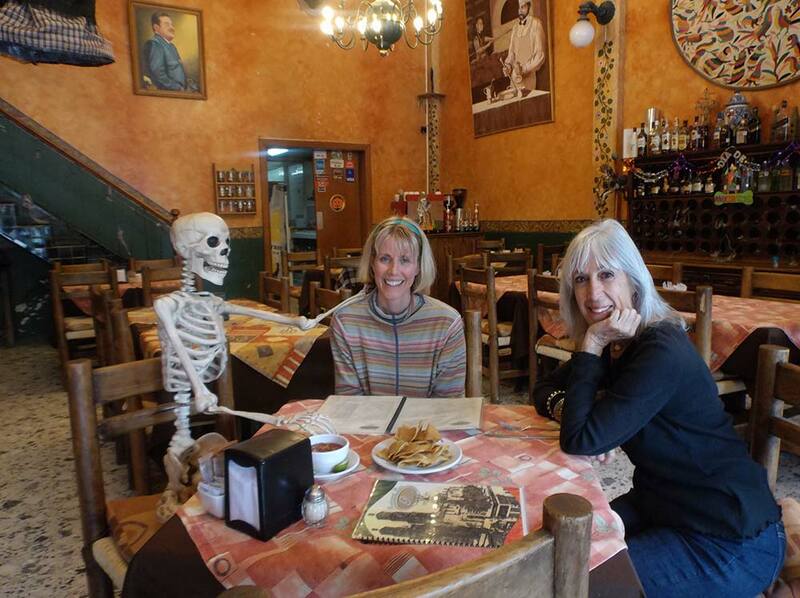 If time permits on the way from Tequis to Bernal we’ll stop at a local winery for a tour and a tasting. 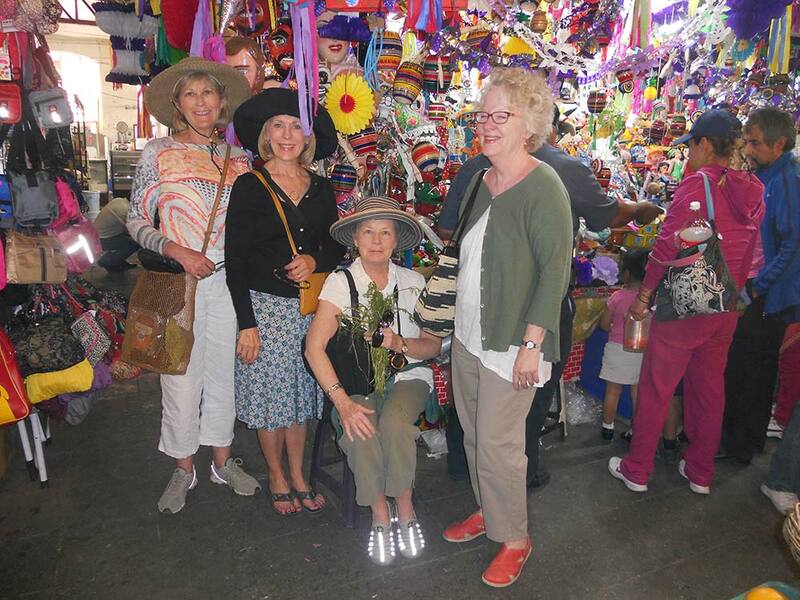 Specialized tour intended for interior designers, antique dealers and people who have specific needs and limited time in San Miguel de Allende. 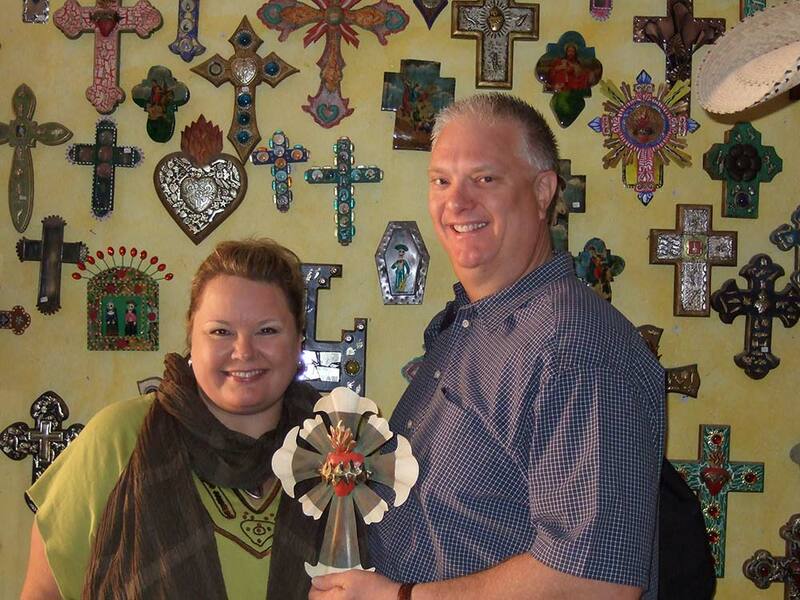 Would you like to visit the best folk-art dealers in town who specialize in folk-art for serious collectors? 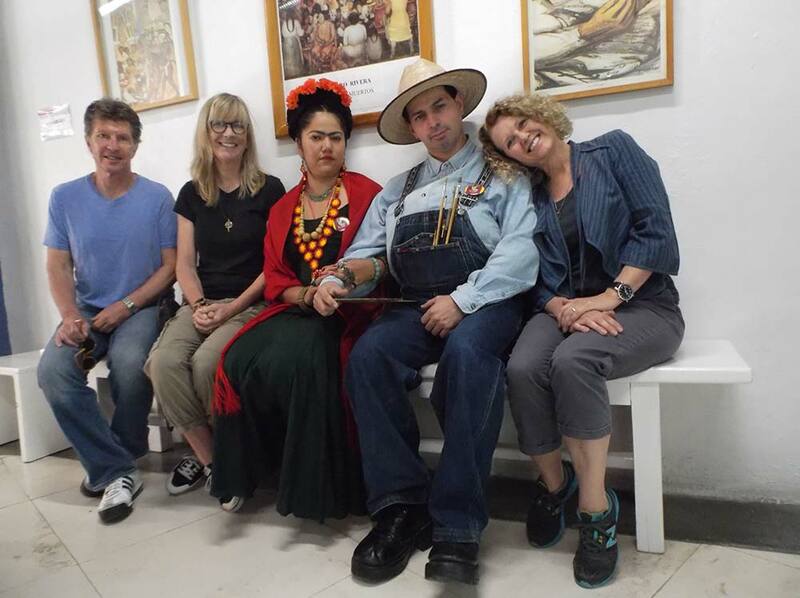 Curious about what the local fine artists in town are doing? We can arrange studio tours to visit painters, print-makers and jewelers with advanced notice only. 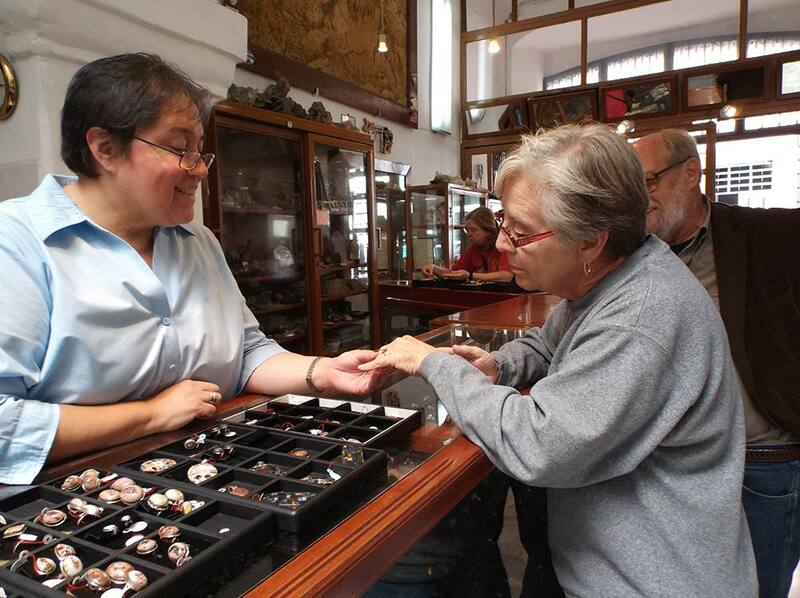 If you’re looking for items to export to the U.S., or to have made especially for you, or for your own shops, we can take you to artisans famous for their tin, copper, brass, alpaca (nickel silver sometimes called German silver) and paper maché items. We can also assist interior designers that have a limited amount of time here to do their shopping and we’re happy to help with shipping. Length of Tour: You determine the time. 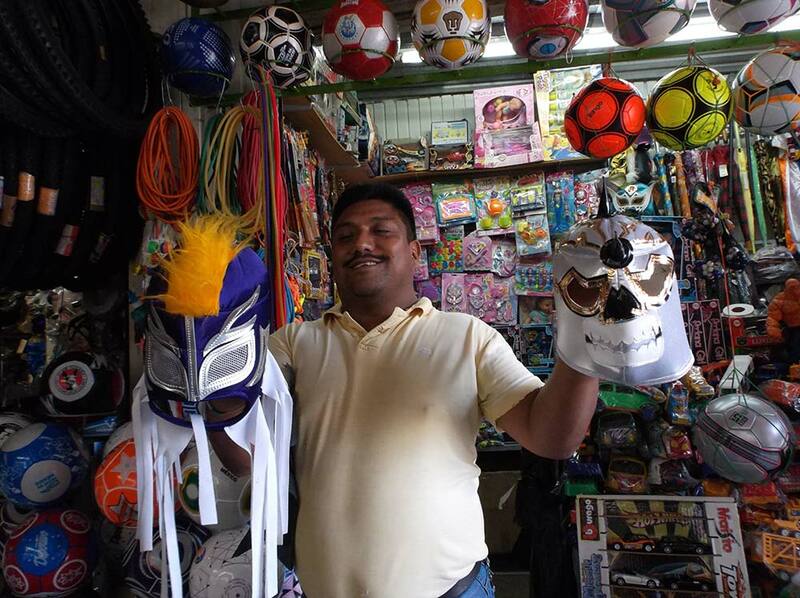 In the state of Michoacán, the seasonal markets for the Day of the Dead in Patzcuáro and the Palm Sunday Market in Uruapan are not to be missed. 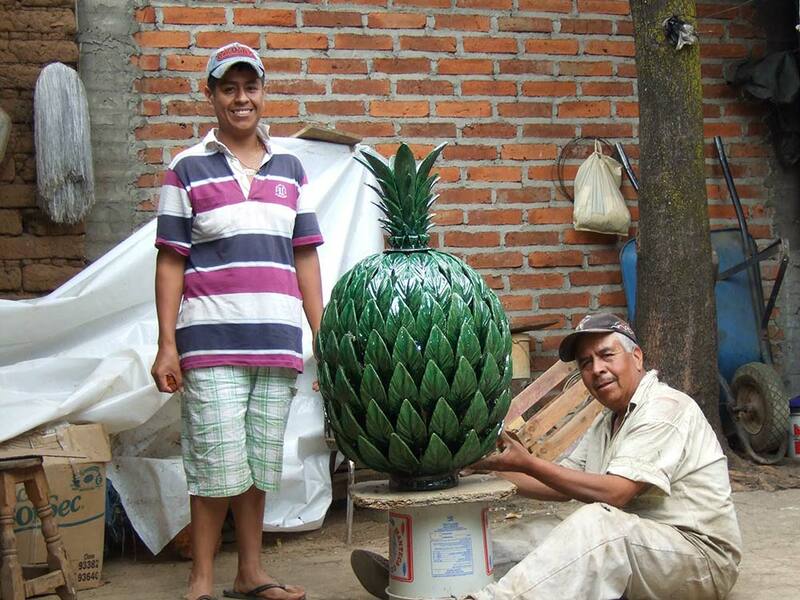 Both the folk art collector and those interested in Mexican culture will not want miss these once-a-year events. 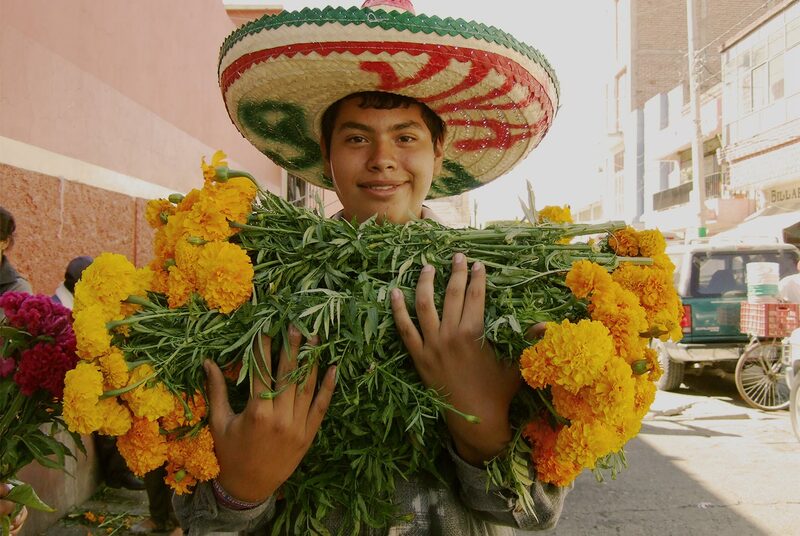 November 1st and 2nd, Mexico celebrates Dia de Los Muertos, one of the most fascinating times of year. Market stalls are filled with delightful skeletons, skulls and little coffins all made of sugar (alfenique) or paper mache. For an overnight trip, Patzcuáro in the State of Michoacán, is an exceptional experience. 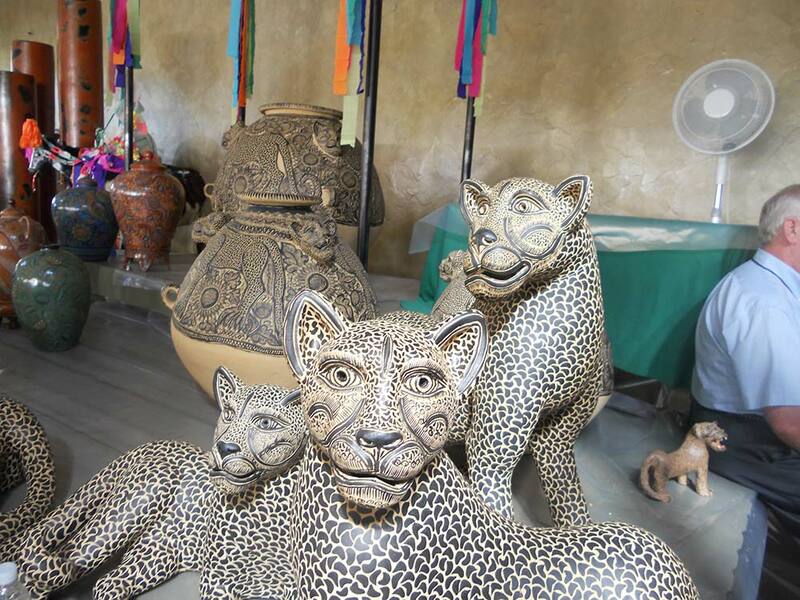 The craft and folk art market will delight all collectors. A nighttime visit to a near by country cemetery with traditional Day of the Dead decorations will leave you with a greater understanding of this very important Mexican holiday. 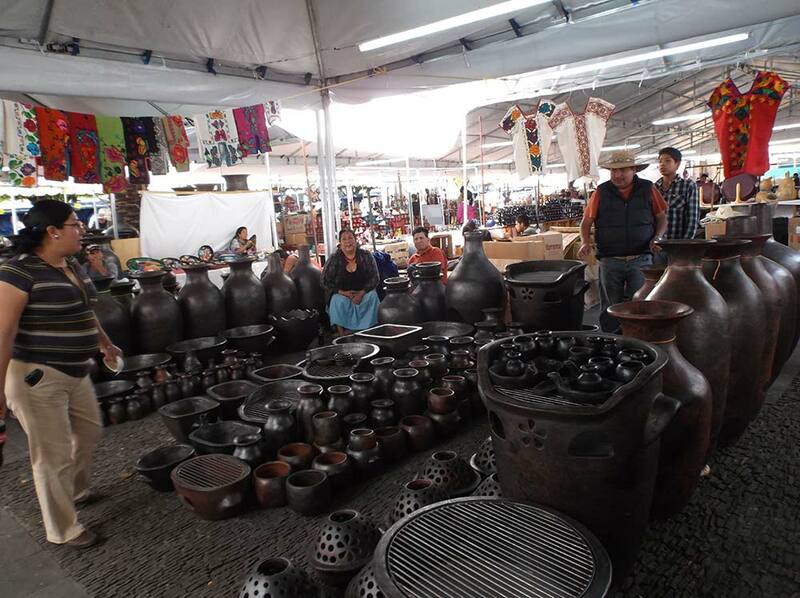 During the week preceding Palm Sunday (dates variable), also in the State of Michoacán, the town of Uruapan has an equally memorable craft and folk art market, featuring pottery unique to that area. 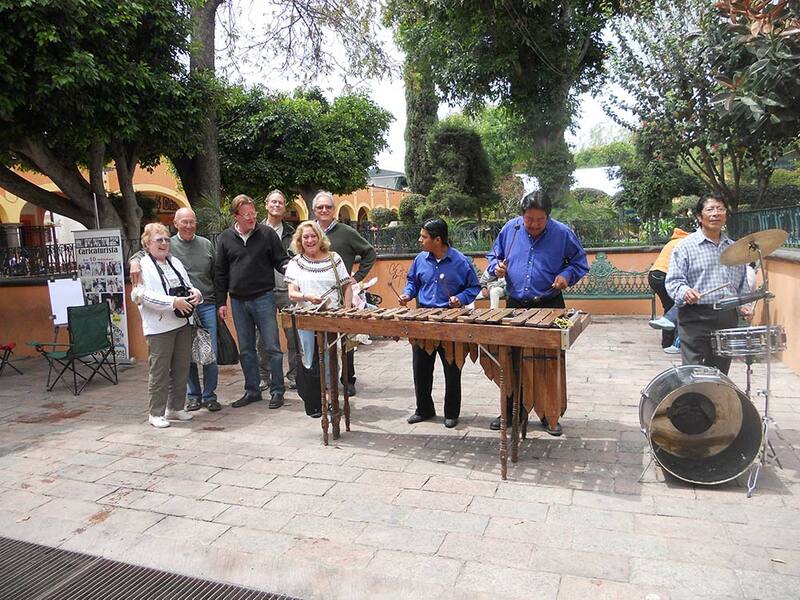 There are special tours to Uruapan during this time. Side trips to visit the town of Paricutín and its extinct volcano can also be arranged. Length of Tour: 2 – 3 days.